An offer for schools and career orientation institutions – The General Student Advisory will be pleased to visit you! Of course, everyone who plans to study should take a look at his future place of studying before making a definite decision. We organise a day at the University of Rostock for you (see web page “Go to Rostock!”) or come even to visit you at your school. 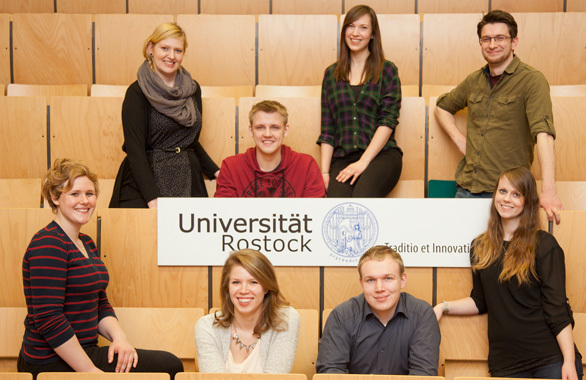 Many schools or job information centres hold events on study information, either as study information days for secondary school pupils, pupil-parents-evenings at schools or an education fair of the local job information centre – we would be pleased to visit you and inform you about studying in general and studying opportunities at the University of Rostock in particular. We are not only visiting Mecklenburg-Vorpommern but the entire North of Germany – do not hesitate to contact us. We will also be pleased to get you in contact with contact persons/speakers for subject-related information events, e.g. on engineering studies.